One of our MaxFun NYC group members wrote a musical! In the spirit of Candlenights I wanna share an event that’s happening in Morningside heights on Monday December 10th (weird day, I know, but could be fun to destress after work): I wrote a musical!! It’s bizarre and funny and has a lot of heart, and if you liked Shrek the Musical but wish instead that the ogre Shrek was a lesbian Christmas demon then you are in luck!!! I would love more MBMBaM-binos/MaxFun fans at the show! XMAS! 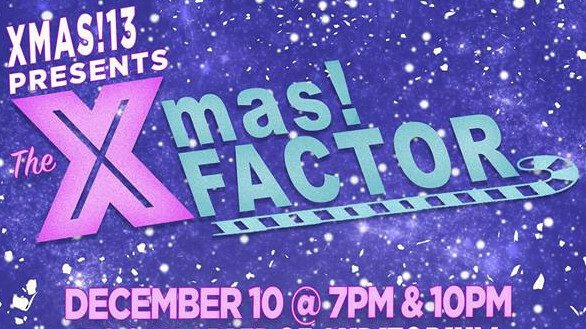 is Columbia’s annual full-length, student-written, holiday-themed musical. Now in its 13th year, XMAS! has become a Columbia tradition. As we like to say, XMAS! is for everyone! Come relax on the last day of classes with this holiday secular spectacular!Jake A. So yeah, this show can’t be missed. There are two shows, one at 7pm and 10pm, but you can use the same link above for tickets.